A 3-month-old baby was reportedly among several Palestinians injured by Israeli forces suppressing the weekly peaceful anti-settlement procession, on Friday, in the Kufur Qaddoum village of the northern occupied West Bank district of Qalqilia. 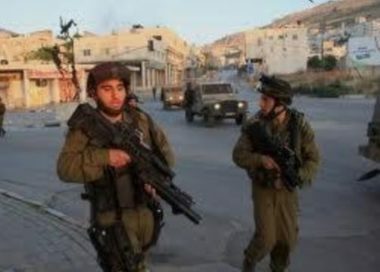 Coordinator of the popular resistance committee in Kafr Qaddoum, Morad Eshteiwi, said that Israeli forces raided the village before Friday prayers, to suppress the weekly march that typically sets off following prayers. 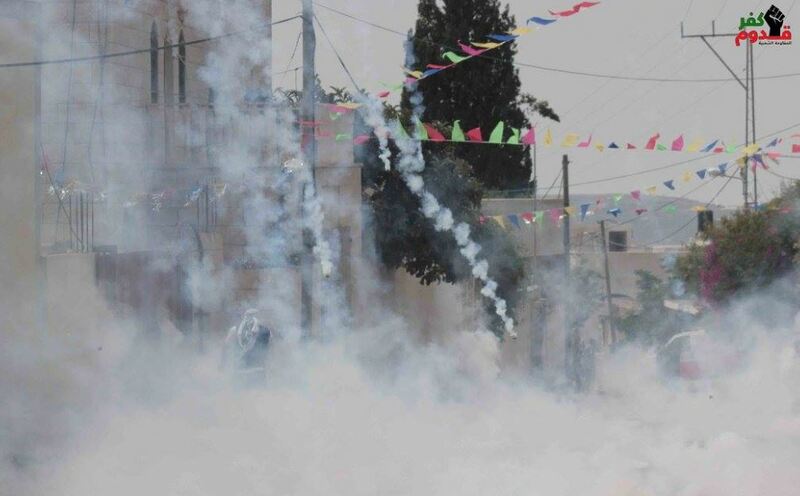 Eshteiwi added that Israeli forces fired rubber-coated steel bullets and tear-gas bombs at protesters participating in the march and inside the homes of local residents. 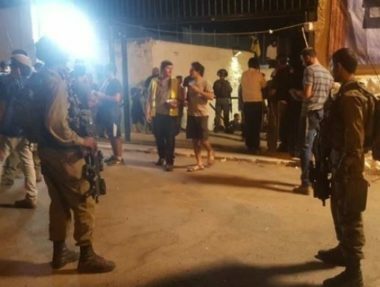 Seven protesters, a number of whom were from South Korea, the others being Palestinian, were injured along with a 3-month-old baby who suffered from tear-gas inhalation by tear-gas bombs that hit homes of the village. All of the injured, including the baby, were treated on the scene, according to Maan News Agency. Residents of Kafr Qaddoum began staging weekly protests in 2011, against Israeli land confiscations, as well as the closure of the village’s southern road by Israeli forces. The road, which has been closed for 14 years, is the main route to the nearby city of Nablus, the nearest economic center. The army blocked off the road after expanding the illegal Israeli settlement of Kedumim, in 2003, forcing village residents to take a bypass road in order to travel to Nablus, which has extended the travel time to Nablus from 15 minutes to 40 minutes, according to Israeli rights group B’Tselem.